The Summer Sale ends with the Sundered Crown Boxset! The 2018 summer sale ends on August 19th and from today (14th) the Sundered Crown Boxset is on sale for the massively discounted price of just 0.99p/c on Amazon Kindle. The first three books in the epic Sundered Crown Saga plus The Nightblade prequel novella. The royal family of Delfinnia is assassinated, sparking a conflict that engulfs the realm – the War of the Six Claimants. Amongst the chaos, dark things are stirring: in the mountainous lands of Eclin, the ancient N’gist cult rises, setting its evil plans in motion. A diverse group of heroes oppose them: Luxon Edioz, the first wizard seen in an age; Ferran of Blackmoor, a legendary monster-killer; Sophia Cunning, a retired witch-hunter; and Kaiden, a noble knight of the Order of Niveren. The Sundered Crown Saga is a tale of magic, monsters and epic battles. 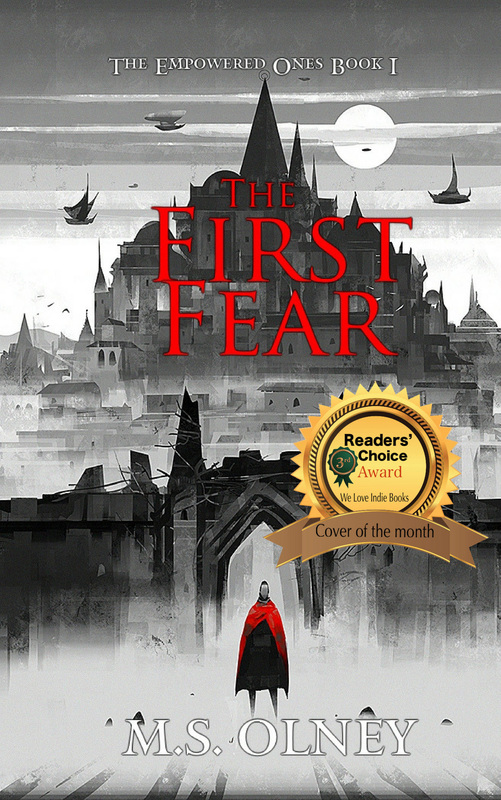 The book cover for The First Fear won 3rd place in the July cover of the month content on We Love Indy Authors website. Thanks to everyone who voted. Thank you so much for reading. If you enjoyed this book, I’d be very grateful if you’d post a short review. Your support really does make a difference, and I read all the reviews personally so I can get your feedback and make my books even better.